Feeling tossed between tidal waves in the middle of the ocean since my return to Manila a week ago -that’s how I can describe myself, at least in the past few days. Christmas time is an awesome, wonderful time to celebrate and reunite with good old friends, colleagues, and family. However, this “awesome, wonderful time” can also cost us with a lot of things and inconveniences. If we are not watchful, we will unknowingly grow hearts of complaints and grudges because of the many things that are happening around us. And this is not the way it should be! Am I stressed because things are not happening my way? Am I stressed because my travel time went beyond what I expected? Am I stressed because I have so many expenses for all the Christmas parties I need to go to? Am I stressed because I’m not getting the things I want? And there are a lot of other questions that we can ask ourselves whenever we start getting stressed! As we examine what triggers stress in us, let us also examine the way we respond to these triggers. Our response reveals a lot about the condition of our hearts before God. It takes humility to be honest before God with how we feel about ourselves and our situation, and to surrender everything unto Him. Christmas parties! From officemates, to friends, neighborhood, community, family reunions, volunteer group, churchmates, discipleship group and a lot more depending on your involvement. There are just so many parties to go to that sometimes, we come to a point that one party becomes “just another activity.” This is the point when I start thanking God for each group and party, and for the fruitful relationships I have this people. But honestly, I’ve had to let go of some parties, especially those with conflict in schedule and location. Having a thankful heart for all the people and relationships in this season will help us go above feeling overwhelmed with all the parties and events. Celebrating this season means going through many inconveniences – from heavy traffic jam, to crowded malls, to so much things to buy. Most of the time, exchange gifts are set to a range of amount and parties have prescribed outfits or costumes. When budget starts to run low, expense stress also starts. We have to think smart and organize when it comes to spending. Come to think of it, almost everyone is giving away something this season, both time and gifts. Expense is temporary, but the relationships being built through the time spent and appreciation given to people go a long way. When we start to see people as expenses, we should start checking and recalibrating our hearts also. Examine why we have come to this point. On the other hand, when we start to magnify God’s goodness, kindness and generosity, and fully understand the expense of our forgiveness and redemption, I am sure the sure our hearts response is gratitude and rejoicing. 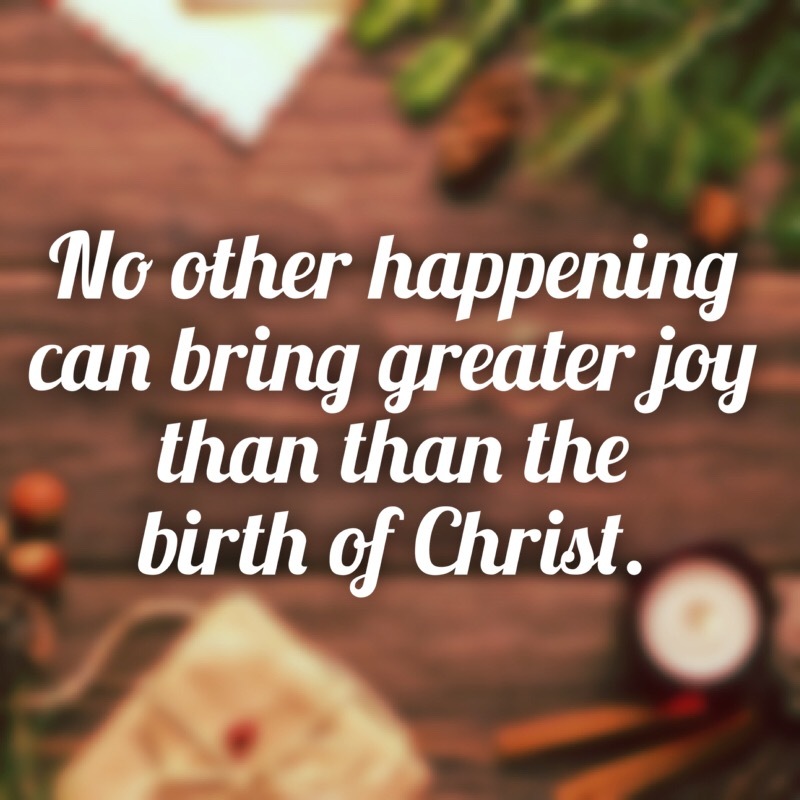 The expenses we have at this time are nothing compared to God’s expense when He sent His Son to us – the Reason why we are supposed to celebrate (and not fret over) this season. Let us always go back to the reason of the season. It is not the sale going on the malls, nor the presents we give and get, nor the Christmas parties and bazaars we go to. Neither is it about you and me! 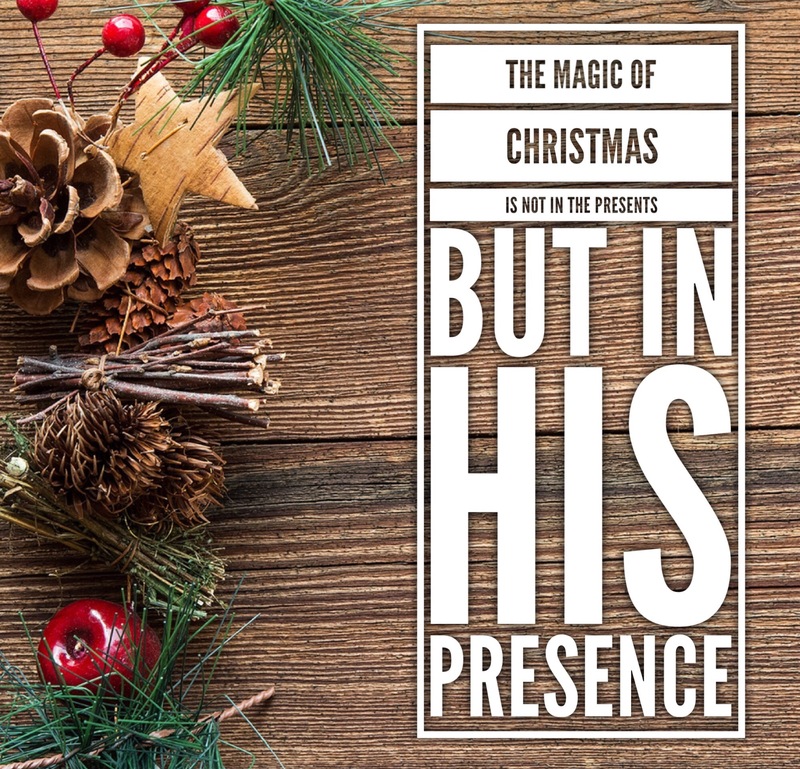 Christmas season is always about our LORD JESUS CHRIST, nothing more, nothing less. Whatever stresses and frustrates you, don’t miss out the very reason for the season, our Lord Jesus. The greatest gift we can have for ourselves is accepting Jesus in our hearts as Lord and Savior. The greatest gift we can also give to our friends, colleagues, and families, is letting them know the saving knowledge of receiving Jesus Christ as their Lord and Savior, trusting in His finished work on the cross for our Salvation and forgiveness of our sins. He has accomplished what we can never accomplish on our own and that is more than enough to keep us rejoicing and celebrating this season. Have a joyful, stress-free and merry Christmas!